Many people might not realize this, but 1979’s Alien is the movie that put science-fiction horror on the map. Anytime you have a game or a movie that depicts people up in space in the future being tormented by some violent inhuman (or even human) entity, it owes its origins to the original 1979 classic, and in many cases in gaming, its 1986 sequel. Which is why, until Alien Isolation, many gamers and lovers of the franchise have been frustrated that nothing good has come out of the franchise in nearly fifteen years. Last year’s Colonial Marines was the latest slap in the face to fans following a trilogy of awful Alien vs Predator outings; two movies and one game, and many saw Alien Isolation as the franchise’s last chance before a major publisher, in this case Sega, would finally give up. Thankfully, at long last, Isolation has proven itself to not just be an excellent survival horror game in its own right, but perhaps the best Alien game ever made. To quickly establish its premise, Isolation casts players as Alien protagonist Ellen Ripley’s daughter, Amanda, who decides to follow an expedition to the space station Sevastopol, where evidence of what happened to her mother exists. Upon arrival, she and her crew find that the station has gone straight to hell, with roaming gangs of survivors killing and stealing wherever they can, android helpers gone insane, and most importantly, an indestructible alien creature lurking around the place. Amanda is cut off from her ship and crew, and from there must figure out how to escape the station and hopefully find the evidence she came looking for. As a survival horror game, Isolation brings a new formula to the genre in a time when many other survival horror games have steered themselves into one of two camps. The first camp, inhabited by games like Dead Space and the last three Resident Evil games, arms you to the teeth and make you do battle with all manner of monstrosities. The second camp, with games like Outlast and Amnesia, forces you to flee and hide from your enemies, providing you with no weapons whatsoever. Isolation falls somewhere in between. Your enemies are powerful and capable of killing you quickly, but you have at your disposal a variety of both offensive and defensive weapons that must be used judiciously. Weapons or not, Isolation is a genuinely challenging game, largely thanks to the alien creature’s AI, which is unpredictable and doesn’t run on any predefined scripts. It will search the room you’re hiding in thoroughly, leave, and either change its mind and come back to do an even more thorough search or leave entirely. You have no way of knowing what it will do. Combine that with its indestructibility and its ability to kill you in one hit, and you have a genuinely terrifying enemy. There was literally one point early in Isolation in which I actually thought I might not finish the game, as evading the alien seemed far too difficult and scary. It takes a combination of steeling one’s nerves and making smart use of your various improvised tools to progress, and even then the alien can wise up to your tricks. You might throw a noisemaker to draw it away from you, but do it too many times and it will instead go after the place it was thrown from. Hide in the same locker twice, and it will sniff you out and kill you. 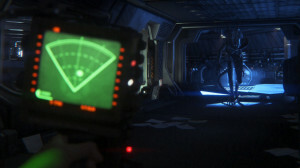 With the alien, Isolation brings a new level of gameplay to survival horror that refuses to let you become complacent or accustomed to any sort of rhythm; no encounter with the alien is ever the same, and even once you acquire powerful tools like the flamethrower, the game throws new challenges your way that I won’t reveal here for spoiler purposes. Unlike many survival horror games, in which much of the challenge stems from mentally overcoming the scares, Isolation, scary or not, is a legitimately difficult game that takes legitimate skill to get through. The levels have open-ended design and your tools allow for a variety of playstyles, ensuring that in addition to contending with the game’s powerful scare factor, you must also consider your tactical options and have a keen awareness of both the environment and your tools. Isolation’s main campaign runs at about 20 hours in length, which is pretty long for a survival horror game, and for it to spend that much time terrorizing you with the alien would be downright cruel and, after a while, repetitive. As such, the game draws on other aspects of the 1979 film to punctuate your encounters with the alien. Remember the climax of Alien in which Ripley engages in a complex process to self-destruct the Nostromo? Remember all those switches and levers she had to pull that brought out the universe’s 1970’s vision of a “clunky-junky, push-button” future? Isolation goes into a lot of that too. 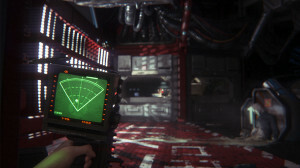 As a technician, Amanda Ripley finds herself having to repair and restore many of Sevastopol’s functions in order to progress, and as such a good deal of the game revolves around climbing through air ducts, dealing with malfunctioning synthetics and exploring the station in general to reactivate parts of the station. 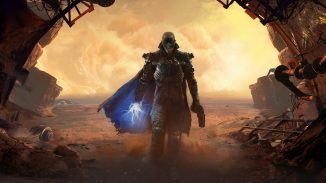 It is during these moments of the game that some might find things plodding along slowly, and indeed for this die-hard alien fan it did at some points feel that developers Creative Assembly were padding the campaign out. Contending with the synthetics can be frustrating in particular, as they are capable of spotting you instantly, and the game all but forces you to deal with them offensively in numerous places. However, for the most part these non-alien moments of the game allow you to take in the environments that CA have clearly gone through extraordinary lengths to create, taking enormous influence from the design of the Nostromo from Alien. Every door, every room, and every floor tile and wall carries the universe’s distinct look that eschews the refined aesthetics of today’s science fiction with one that is less digital and more analog, more angular and less sleek. Isolation’s sound design deserves mention as well. Everything from the ambient hum of rooms to gunfire to the orchestral soundtrack to the alien’s footsteps has been accomplished flawlessly, and are a huge factor into what makes Isolation so scary. 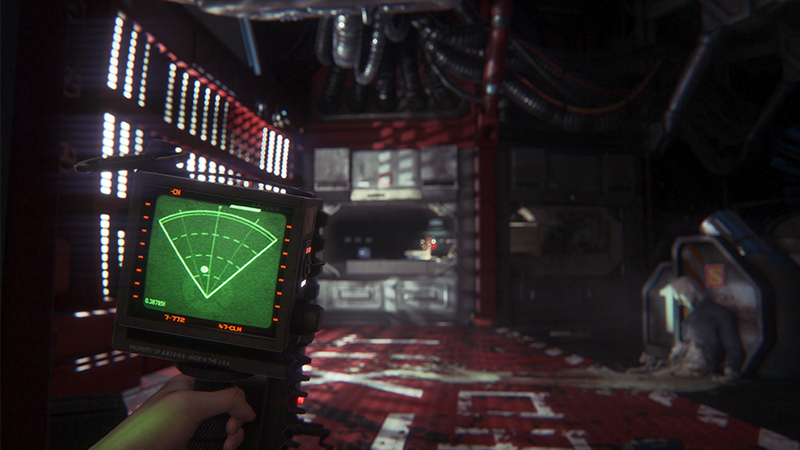 This is not a game that will try to get you with cheap scares by playing random loud noises; instead, Isolation combines its sinister soundtrack and ambient sounds to create a sort of cocktail of dread permeating the game that gradually ramps up when, for example, the alien gets closer to you. If there is one complaint to be had in this department, however, it is that the music can sometimes get in the way when you’re trying to discern the alien’s location by sound. This, of course, can be solved by simply lowering the volume of the music in the options menu. I found that lowering it by about half was a good compromise. The plot of Isolation is functional, but nothing particularly special. It instead serves as a competent medium through which the gameplay moves, and provides just enough motivation for you to care about what you’re doing. Like the Bioshock games, a great deal of backstory can be uncovered by listening to audio logs and reading memos found throughout the station. I personally find audio logs to be a lazy way for games to communicate story and, given the importance of the information you often find on these logs, wish that CA had found a more direct way of communicating these things to you that didn’t disrupt the flow of gameplay. I also felt that Isolation’s story mirrored that of Alien’s a bit too closely, as if Amanda was simply reliving a larger-scaled remake of her mother’s experience. You encounter various NPCs that help you in your journey, but its impossible to care about them as these encounters are usually quite brief and often result in their deaths. One particular character you encounter very early in the game has the ingredients for a compelling character for the player to attach to, but is killed off far too soon. From a storytelling standpoint, Isolation feels like a great game with a serviceable story wrapped around it, rather than a great story with a great game wrapped around it. It gets things started without taking much time to establish Amanda as a character, and, without giving anything away, concludes in a similar manner. Overall, Isolation is a superb game that stands on its own feet, regardless of its ties to the Alien franchise. 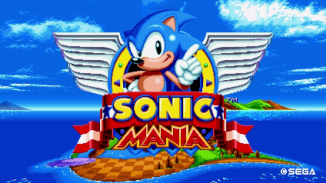 Of course, fans of the series will be the ones who enjoy it the most; if you consider yourself an Alien fan even slightly, you pretty much have to play this game. It treats the alien creature with the respect it deserves; as an indestructible perfect organism, and not some screeching bug that can be blown apart with a shotgun. The Sevastopol is a pure joy to explore, brought to life by the game’s pristine visuals and sound. 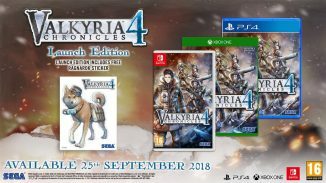 Newcomers to the series will also find plenty to enjoy, as Isolation brings a new level of unpredictability to a genre that has lately come to lack it. The long segments of exploration will probably put off people who don’t understand where Isolation is coming from, and some might find it too long. My opinion is that a game like Isolation, which many of us have been waiting for longer than today’s newest generation of gamers have even been alive, can never be too long. This is a stunning return to form for a series that hasn’t seen anything good since 2001’s Alien vs Predator 2, and I hope a signal for more to follow.